Femina – India’s largest women’s brand and Nykaa.com – country’s foremost online beauty retailer collaborated to host the fourth edition of Nykaa Femina Beauty Awards 2018. The beauty awards took place on 15th February, 2018 at JW Marriott, Mumbai, acknowledging the best beauty products and brands across a gamut of categories in India such as makeup, hair, skin, fragrance, bath and body. After amassing a great response, from its first three editions, both the brands are now geared up to take the Awards a notch higher this year. The Nykaa.com Femina Beauty Awards 2018 was a night to remember as the who’s who of Bollywood graced the event looking their sleekest best completely resonating with the vibe of the night. Celebrities such as Aishwarya Rai Bachchan, Rekha, Disha Patani, Arjun Kapoor, Malaika Arora, Surveen Chawla, Karthik Aryan, Kiara Advani, Pooja Hegde among others celebrated the winners of the evening. The night also celebrated the icons of Bollywood with Aishwarya Rai Bachchan being awarded as ‘Global Beauty Icon and Powerhouse Entertainer for Two Decades’. 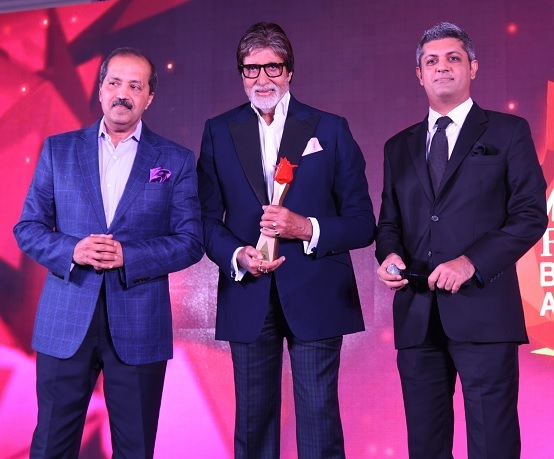 The legendary Amitabh Bachchan was felicitated with the title ‘Style Legend Of All Time’. Rekha was honored as the ‘Legendary Style Diva’, Arjun Kapoor was awarded ‘Man We Love’, Disha Patani – Fresh Face of The Year. The Nykaa Femina Beauty Awards present a novel opportunity for the beauty industry as they touch the lives of customers on a personal level. The best beauty products across categories were chosen by the readers of Femina, the clientele of Nykaa.com and an esteemed jury panel. The jury panel comprised of esteemed personalities like, make-up expert- Ojas Rajani, Hakim Aalim, India’s leading Cosmetic Physician-Dr.Jamuna Pai, renowned fashion photographer-Daboo Ratnani and the gorgeous actresses Malaika Arora and Aditi Rao Hydari. The jury also included famous and influential beauty bloggers such as Komal Pandey, Sejal Kumar, Shruti Arjun Anand ,Ritu Rajput, Deeptima Singh, Malvika Sitlani, Debasree Banerjee, Mitali Sagar and Shreya Jain. The gorgeous Shibani Dandekar made for the perfect host of the evening that celebrated the winning of the best beauty products across various categories. The awards night also witnessed a rib-cracking act by Biswa Kalyan Rath and Sapan Verma which had the audience in splits.